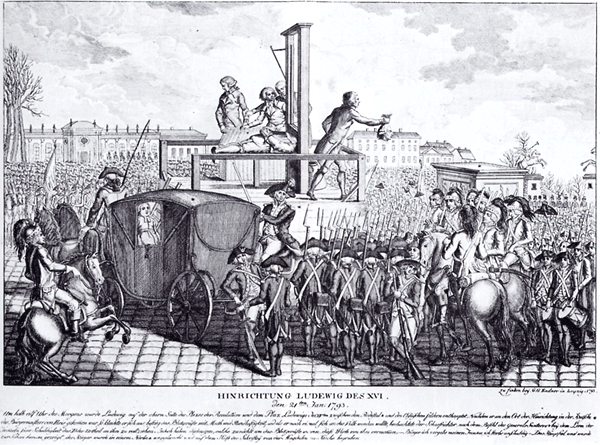 Picture above: The court of Louis XVI is regared as the ecstasy of courtesy. Esprit, the bon-mot and the courtly attire had been overdone to an extend never to be reached again. The end: the terror - the most uncourtly form of social cohabition. "Privacy invasion is now one of our biggest knowledge industries." "The more the data banks record about us, the less we exist." "Being socially exposed is OK when you hold a lot of privilege, when people cannot hold meaningful power over you, or when you can route around such efforts. Such is the life of most of the tech geeks living in Silicon Valley. But I spend all of my time with teenagers, one of the most vulnerable populations because of their lack of agency (let alone rights). [...] The odd thing about forced exposure is that it creates a scenario where everyone is a potential celebrity, forced into approaching every public interaction with the imagined costs of all future interpretations of that ephemeral situation." With danah boyd's concern, I completely sympathize. Usually we recommend to "stay safe from the dangers of the Internet" to children or teenagers . But what does that mean? Should they abstain from connecting to others on Facebook? And how should a teenager ask for her peer or friend not to post a picture on which she would be visible? (The option to let their parents solve problems with unwanted pictures for them is not realistic - apart maybe from gross denigrations and mobbing). There is no real choice. Either we will be regarded whimsical, even Luddite, or we will leave a broad track of data in the world. As time goes by, our behavior maps ourselves into an image, a projection into the data realm. This image of ourselves lies more or less in the open. And many clandestine and creepy companions lurk arround watching our lives in the mirror of our data; Google, Facebook, advertising targeting systems, shop recommandation engines, and finally the governmental surveillance services, couching behind the curtain, waiting for us to fail. But indiscretion is not restricted to professional data krakens. Our profiles with personal information, our posts, our check-ins can be read by anyone who wants to. And indeed this is our very intention: of course I love people following me on Twitter, and I have met some of my closest friends in social networks. Social media work through authenticity - this buzzword has been written and told so many times, that it leaves a flat taste. But it is true: if we are not open, tell in fact about ourselves, we will hardly get in contact with others. It is part of the culture of social media (as in social life in general), to disclose details about ourselves, even if they could be used against us. Like me, posting my drinking habits quite regularly; and of course I want people who know me, or who have an interest in me, to read this. But what would it feel like, if someone would set-up a "Joerg-drinks"-bot, publishing statistics about my wine-tweets? Without context this would certainly draw a rather unfavorable picture of me. From personal experience I would judge the damage from mortifications by "manual" data access much more severe, than the professional analyses of data krakens for their commercial use. And while with the latter, privacy and self-determination rights can be defined and often also enforced legally (e.g. via law against unfair-competition), assaults on personal data by individuals can hardly be contained with legal means. Where does stalking start, what exactly is an insult, what malicious gossip? The worst is, that the victim has to act in defense - "Streisand-effect", fleer and mockery is poured on people, who "just don't understand the rules", are "stupid enough" to try to resist. Courtesy is a cultural technique to maintain distance. We are courteous to organize our distance to others, not to offend them. We become courteous by keeping within our boundaries, which are not defined by laws or other written rules, but by our understanding, respect, and sympathy with others. Courtesy is the esprit de conduite, the good spirit of conduct. What was defined as religious command, or feudal duty in ancient or medival times, was unfolded as philosophy during the enlightenment. While still an act of dominance and power of the strengthening kind against the weakening noblemen at the court of Louis XIV, esprit becomes a bourgeois habit after the French revolution. And Kant's maximes for human dignity were made into explicit recommendations for everyday's life by Adolph von Knigge in his guidebook "Über den Umgang mit Menschen". Even before the invention of the web, the community of the first users on the net had formulated the Netiquette . "When someone makes a mistake – whether it's a spelling error or a spelling flame, a stupid question or an unnecessarily long answer – be kind about it." - Kindness - integral part of courtesy - was a topic back then. "Gar zu leicht missbrauchen oder vernachlässigen uns die Menschen, sobald wir mit ihnen in einem vollkommen vertraulichen Tone verkehren. Um angenehm zu leben, muss man fast immer als ein Fremder unter den Leuten erscheinen." So the culture of courtesy of the 19th century might be well suited for our age of post-privacy. Courtesy is a cultural thing. Cultivated means taken care of. It is time to act carefully with our data, which are so closely tied to us. It is time for data courtesy. ← Could we learn all about behavior change by simply applying some makeup?